David is club manager he runs the club behind the scenes and coaches most of the clubs sessions. David leads on the holiday gymnastics camps. Katy established the club and supports David to run the club and create the activity programmes. Rachel works on skill development for a variety of ages, and has a wealth of coaching experience. She manages to fit her coaching in around studying medicine at Nottingham University. 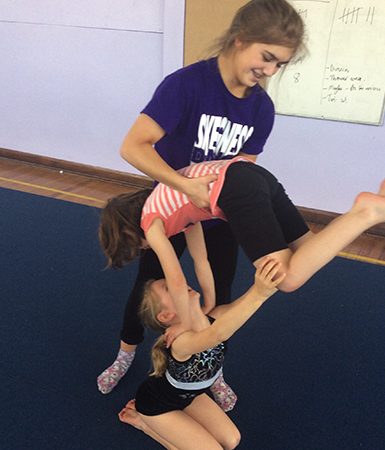 Emily assists with the running of the groups, working with gymnasts aged 4-15 of all abilities to develop all to their maximum potential. Emily is currently training full time at the National Water sports centre with the hope of making the team for the 2020 Olympics! Sinead assists with the running of Green and purple group. 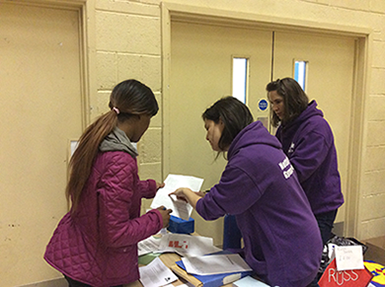 Sinead is studying at Nottingham Trent university and fits her coaching around her busy university timetable. Sophie leads on the club's GymFusion display routines, and assist with the running of the session. Sophie takes part in amateur dramatics in her spare time and has performed in panto and other Nottingham shows. Adele will be back soon! Adele is currently studying in New Zealand! When she's in Nottingham, she works with a variety of classes and ages to help with skill development and equipment work. Evie is currently studying to be a teacher in Birmingham. She comes back to visit in the school holidays and often coaches the holiday sessions. Ben is a member of a coach development academy, and also an ex gymnast- he likes to see what he can still do, when he thinks no one is watching! 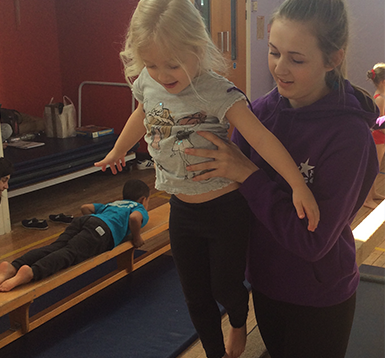 Caroline has no previous gymnastics experience but enjoys working with children. The coach development academy provided the opportunity to learn something new and give back to the local community. Heidi became interested in helping when her son and daughter joined the club. She joined the coach development academy and is currently completing her level 1 qualification. Claire has been a gym mum for 10+ years! When we started the coach development academy she jumped at the chance to get involved. Anna’s background is dance, and when we started sessions at Portland where she works she showed an interest in getteing involved, shes transferred the knowledge she has of working with children in a dance background to a gymnastics setting. Jane is the club welfare officer and first point of contact if you have any welfare issues. Jane has attended the British Gymnastics’ Safeguarding and Time to Listen course and as such has the relevant qualification in addition to a variety of experience to fulfil this role. Liza and Nicola Both are highly valued club volunteers, both have a great understanding of the club and are usually around to welcome new people.. We'd be lost without them. We also have a dedicated parents committee who help us out with running events and act as a guide for the management and coaching team. We are always in need of more coaches to meet the demand of the people wanting to start and enjoy the sport. Our coach development academy supports individuals to develop the skills needed to coach gymnastics. No previous experience is needed, just an enjoyment of working with children and the drive to learn something new! If your interested in getting involved we'd love to hear from you. 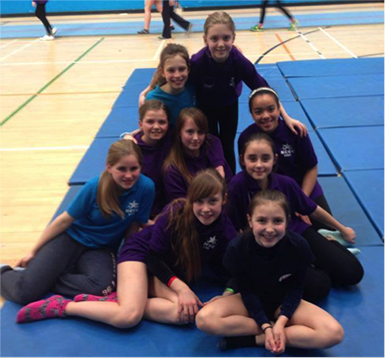 The club have a group of Young Leaders that are progressing through British Gymnastics MY Leadership Academy Programme. These leaders assist our coaches in delivery of sessions whilst developing their own personal skills. The programme introduces Young Leaders to the various roles and opportunities available within the sport. Helping them to identify their strengths and the areas they enjoy; encouraging them to stay them within the sport for longer, creating a larger stronger workforce for the future.